Nowadays it doesn’t matter whether you rent or own a home, you want to make sure that your possessions as well as your loved ones are always secure and taken care of.If you do not want to set up a new alarm system, but still want to have some security, the iTek Home Network WiFi Camera might be something that would be great for you. The iTek Home Network WiFi Camera will give you peace of mind because it uses your already existing WIFI to allow a wide angle live streaming view of your home, so you can see what’s going on when you’re not there. This is great for not only security reasons, but because of its real time two way audio hook up, you’re able to speak and carry on a conversation in real time. The claim of the iTek Home Network WiFi Camera is that it will allow you to monitor what is going on at your home at all times. With its motion detection function and wide angle viewing lens, you’ll be able to easily see and speak to whomever is in your home, any time, day or night. It includes a night vision mode for dark rooms, it is extremely easy to install and connects to your WIFI router so you are always able to have two way audio. You can have this stream real-time to your smart phone or tablet, as well as any type of computer device at work. Obviously the hype with the iTek Home Network WiFi Camera is that you’re able to monitor what is going on at your home at all times, with not only video, but with audio as well. This means if your kids come home and you want them to do some chores for example, you can simply access the camera and tell them what you need done. There is no way they can say they didn’t get the call, when you can watch them answer or not. The cost at the As Seen on TV website is $29.99, which is a great reduction from the original $99.99 that it was first advertise at. The commitment of the pro iTek Home Network WiFi Camera is that it will allow you to monitor your home with video as well as audio at a cost that is far below what your average security system would run you. It comes with a money back warranty, and it is built durable, so it will last you a long time. This is a great item to have if you are not able to afford an expensive security system, but you still want to have some type of security at home. 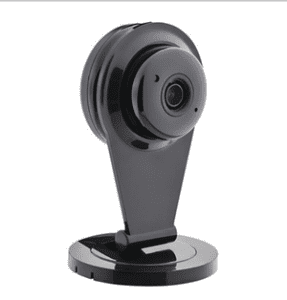 For the cost of the iTek Home Network WiFi Camera it really does come in handy for more than security reasons, especially if you have a family where you want to be able to talk to your kids in real time when you see them arrive at home. The fact that you’re able to access the iTek Home Network WiFi Camera with your phone, tablet, laptop, or even your desktop computer at work, makes it a great addition to the home. If you are looking for something really simple to beef up your security then take a look at the Fake TV. What do you think? Does the iTek Home Network WiFi Camera work or not? Does the Eero WiFi System Really Work?